Organic Food Wholesale and Supply - Muso Co., Ltd.
Home » Food & Beverage » Healthy Foods & Organic Foods » Organic Food Wholesale and Supply – Muso Co., Ltd.
Company Name: Muso Co., Ltd.
MUSO, founded on the principles of Macrobiotics, was originally established in 1986 by Shuzo Okada (the father of Yuko Okada and current president of MUSO Co.,Ltd. International). Before establishing MUSO, Shuzo Okada had been the director for 20 years of the “Shokuyo Shinsei-kai”(Macrobiotic Association) in Sakai city, Osaka. From the very beginning, MUSO was founded on Macrobiotic principles, which recognizes that maintaining the natural integrity of their food source is the key to our planetary health. In 1989, MUSO obtained OCIA (Organic Crop Improvement Association) certification for the main products such as soy sauce, miso, tea, etc, and slso MUSO’s products for the European market are certified by ECOCERT (ECOCERT International) and the products for the Japanese market are certified by JONA (Japan Organic & Natural foods Association). MUSO has been certified by OCIA, ECOCERT, and JONA; (refer to OCIA standard 1,2, 9, EU standard, and JONA standard). Since, MUSO’s manufacturers have understood the GM issue all along, labeling and confirmation of non-GM ingredients are being carried out smoothly. MUSO Co., Ltd. is ISO 22000 certified by BSI (British Standards Institution). You can purchase their products from Amazon below. 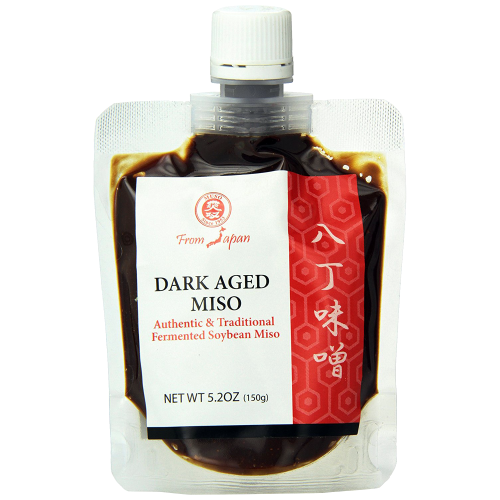 Sweet taste, white luster, and elegant aroma characterize white miso. 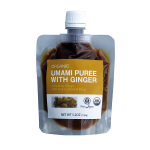 White miso uses more rice Koji to saccharify starch and uses half the amount of salt. The length of time for fermentation is also very short, about 2 weeks, and generates its original sweet flavor. With Rice miso, the soybeans are peeled and cooked in fresh water which is changed a few times to bring a unique white luster to the miso. Hatcho miso is a type of soybean miso, which is made from selected whole soybeans. It contains beneficial bacteria that help our body strengthen our intestine, liver, and aids our body in detoxification. MUSO’s Hatcho miso is manufactured using the same methods developed many centuries ago. Hatcho miso has its own special characteristics and taste. 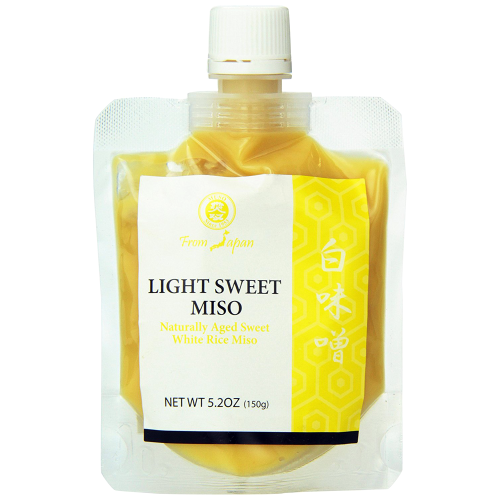 Not only can Hatcho miso be used by itself, but it is often blended with other Misos to improve the flavor and characteristics of the other miso. 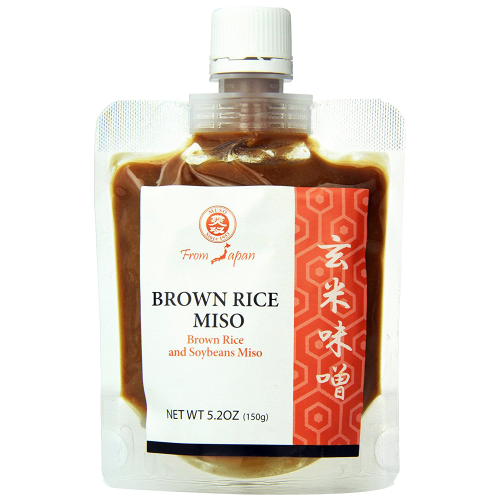 Brown rice miso is a type of rice miso that is made from brown rice. Due to the natural food movement, brown rice miso is more popular overseas. Since the rice used in brown rice miso still contains the bran, this miso has a higher nutritional value and is much healthier than regular rice miso. The taste of the brown rice miso is also deeper. As the health benefits become known, it is expected that brown rice miso will also gain in popularity in the domestic market as well as the overseas market. Umeboshi, a salt pickled / sun-dried ume plum (Prunus mume) is one of Japan’s most ancient super foods. 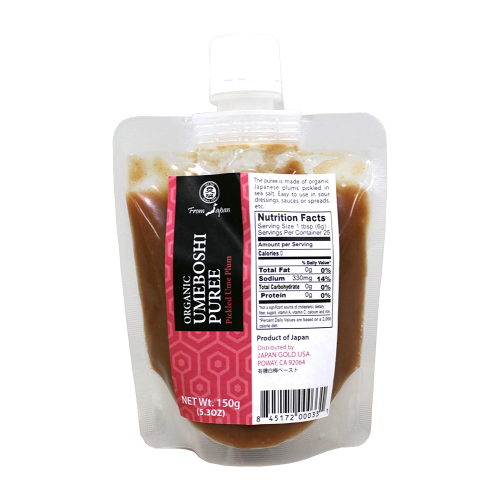 Umeboshi is also a unique culinary addition in your kitchen, providing an unusually salty, sour, and subtly sweet flavor to any foods you eat with them. 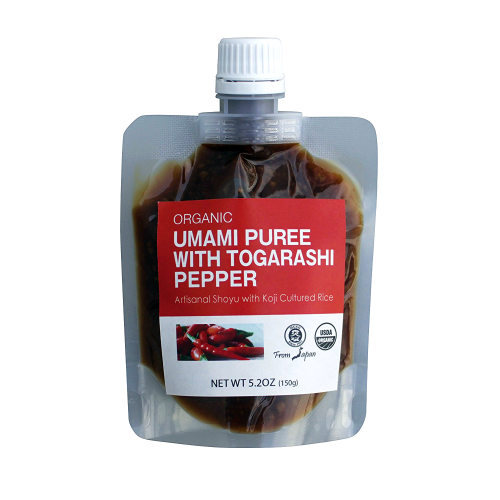 This healthy pickled condiment is pureed and packed in an easy-to-use screw top stand pouch and ideal for sushi, dips, sauces, and salad dressing. You can find other variety products from Shop Muso From Japan below.